Rohit Kelapure leads the Java Application Transformation consulting practice at Pivotal. Rohit on-boards Fortune 100 companies to Cloud Foundry . Rohit has a broad understanding of the usage of software and architecture across major enterprises and unique experience with F500 companies and Pivotal. In a previous life Rohit was the lead developer and architect at IBM developing the WebSphere Liberty Profile application server. On most days you will find Rohit actively pairing with customer developers and architects migrating legacy workloads to the Cloud Foundry Platform. Rohit is a thought leader in the micro services space, having authored one of the first reference architectures of the Spring Framework for microservices on Cloud Foundry. Rohit has self-published a book on Pragmatic Microservices. 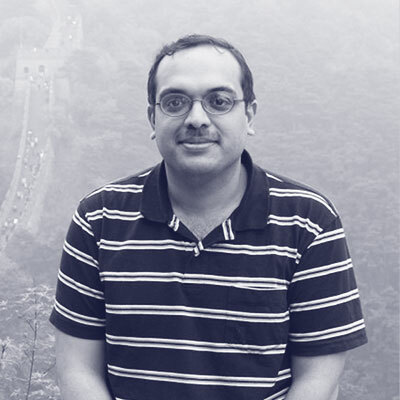 Rohit has publicly blogged and written about Cloud Foundry and presented at numerous conferences. Rohit has worked on all aspects of software development ranging from customer support, function, integration test and development. Rohit has spent time talking publicly about the technologies he worked and led. Rohit has presented at major conferences like JavaOne, SpringOne,IBM Impact and other Java and WebSphere user groups. Rohit is an expert on migrating applications to the cloud and breaking monoliths. Rohit actively blogs on cloud foundry, migrating monoliths and microservice decomposition at cloud.rohitkelapure.com. Rohit most recently published a mini-booklet on Migrating an ESB to a Cloud-Native Platform.